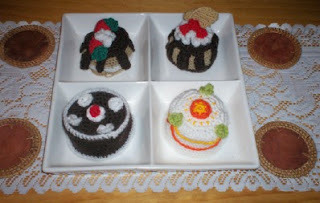 The front 2 cakes are my designs. I am going to stuff them and add a scent to them. I bought some coffee and chocolate scented candles, I have grated the candles and I will use the shavings along with some stuffing to stuff the cakes. 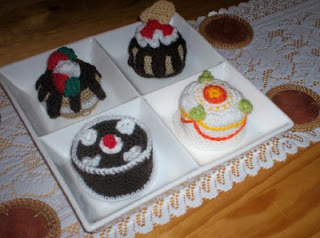 The candle shavings are light, so the cake will not be heavy. These are for the girls in the office who work with my daughter. 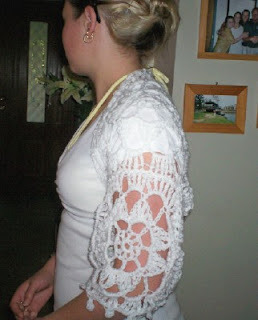 This is a shrug for my step daughter and the free pattern is from here. 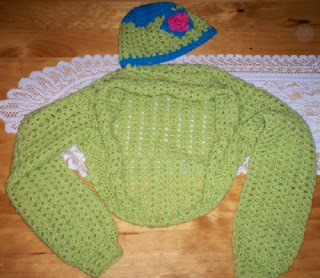 This is another shrug for my step daughter. 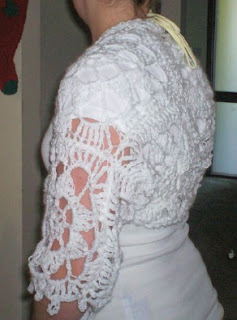 I got the free pattern from, Free Patterns.com. The hat is one I designed to match. 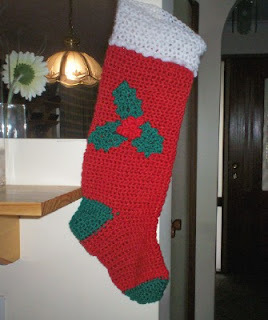 This is my very first crocheted xmas stocking.